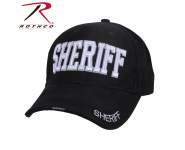 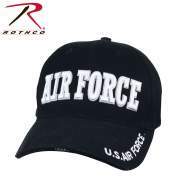 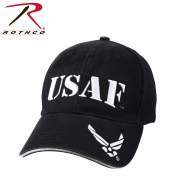 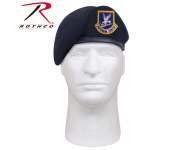 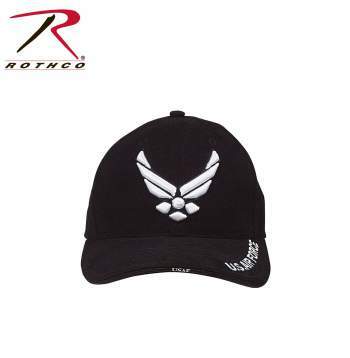 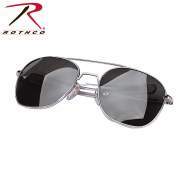 Rothco's Deluxe U.S. Air Force Wing Low Profile Insignia Cap is made from comfortable, 100% brushed cotton twill. 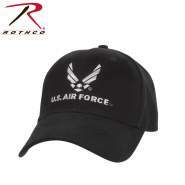 A raised embroidered Air Force wing logo is featured on the front panel of the hat and U.S. Air Force is directly embroidered on the upper brim. 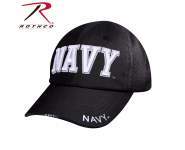 This military style baseball hat also features an adjustable hook and loop closure in the back for the perfect fit and a padded sweatband for added comfort. 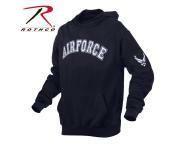 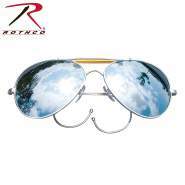 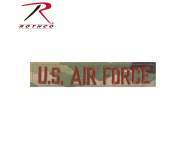 Officially Licensed by the United States Air Force.